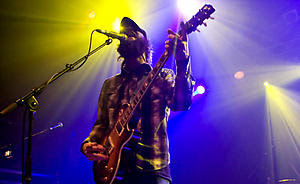 Yesterday I saw the Seattle-based indie rock band, Band of Horses perform. They were excellent, a really nice show. The leader of the band, singer Ben Bridwell was very energetic and it was really cool hearing his signature high-voice in live action. 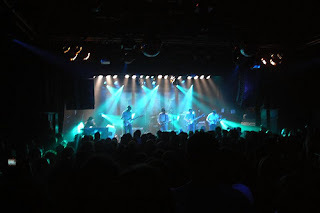 The played some new songs which sounded interesting and of course we saw them perform classics such as "The Funeral", "The Great Salt Lake", "Wicked Gil", "Is there a ghost" and "No one's gonna love you". I was highly satisfied, even bought a t-shirt. This entry was posted on mánudagur, ágúst 04, 2008 at 5:29 f.h.. | You can skip to the end and leave a response.